This happened to be the second day of the sequester which will impact me and my staff and will ensure that my last month in my current billet will be challenging and meaningful. What I hope is that the things that I am able to do in the next month will not only survive me but help provide the resources, structure and environment to allow my successor to take things to the next level in providing spiritual care for the diverse population of Sailors, Marines, their families, veterans, retirees and their families, as well as our civilian employees. You see ultimately, the show here will go on without me and the best that I can do besides caring for those in my charing in the here and now is to help ensure that I leave something behind that others can build on. That too is something that you learn in this military life, that what you do is not ultimately about you. It is about service to the nation and to the people that you have the privilege to serve alongside no matter what the duty station. When one lives their life in the military these transitions happen all too often. 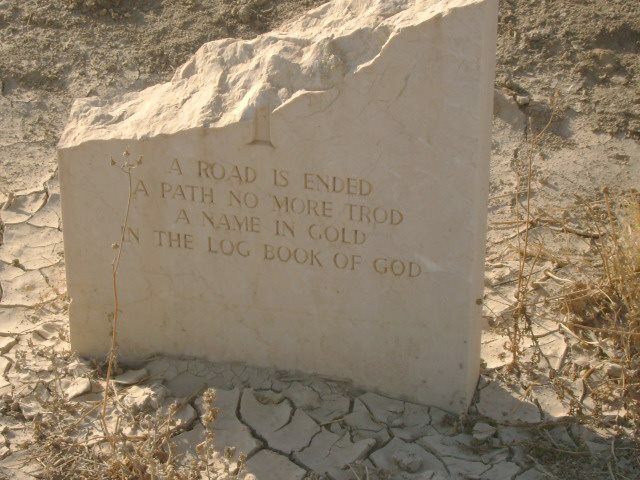 In a sense our lives in the military are very transitory, maybe more so than many would be comfortable with. 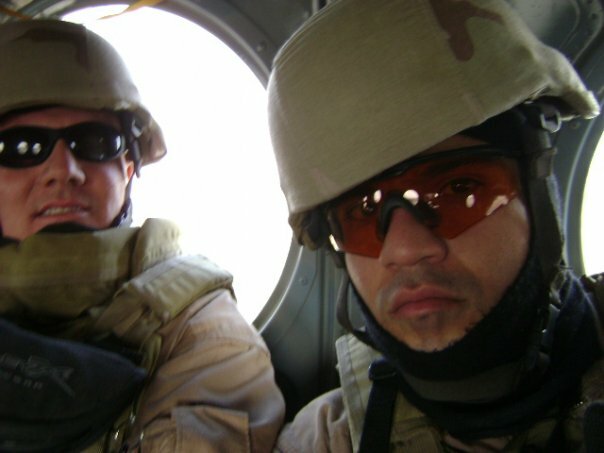 For relatively short periods of our lives, maybe months, or a few years or in the case of deployments in combat zones sometimes days, hours or even minutes. But in those transitory times our lives can be bound together in ways unimagined by most people that do not share this military life or experience. My regular readers know that I grew up in this environment as a child and that as an adult I have always felt the strange call to serve. 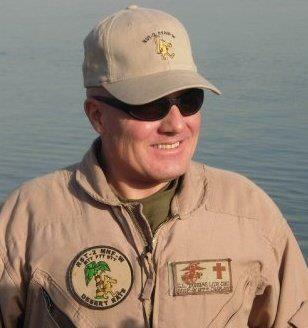 What I find amazing is that after nearly 32 years of service between the Army and the Navy, active, reserve and National Guard around the world in peace and war is that I am still serving and will be, Lord willing for a number of years more and truthfully God only knows when this rather lengthly chapter of my life ends and another begins. 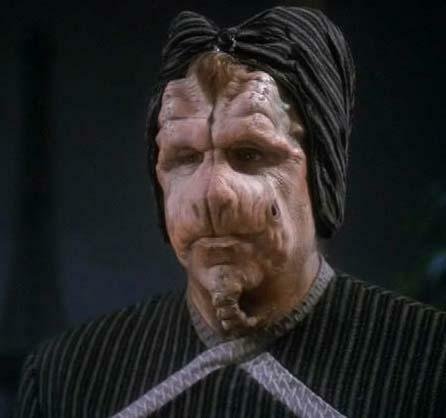 In light of the events of the past few days, the situations that I am dealing with at work, what I am trying to wrap up even as next month promises to be busy I found it fascinating that I was completing the viewing of the final episode of Star Trek Deep Space Nine called What You Leave Behind. I found the title of the episode to be serendipitous with my recent experiences and feelings about my impending transfer. Despite how much I have moved around in life I find that I do not do “goodbyes” well. I like to imagine that I will see people again and I do, as many of the people that I have gone to school with, served with in the military or in the ministry together know I am one that treasures relationships. Heck, I look on my Facebook page there are people from almost every era of my life, many who I have served alongside dating to the very beginning of my military career. There are many others that I would dearly love to find and meet again. In one of the final scenes of the episode Dr Bashir and the Cardassian tailor and former spy Garak part ways after a devastated Cardassia is liberated from the Dominion. Bashir as is typical of many of us is attempting to off some consolation to his friend who is grieving what has happened to his planet. 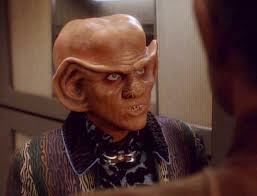 BASHIR: You and I both know that the Cardassians are a strong people. They’ll survive. Cardassia will survive. GARAK: Please, Doctor. Spare me your insufferable Federation optimism. Of course it will survive, but as not the Cardassia I knew. We had a rich and ancient culture. Our literature, music, art were second to none. And now, so much of it is lost. So many of our best people, our most gifted minds. GARAK: Oh, it’s quite all right, Doctor. You’ve been such a good friend. I’m going to miss our lunches together. 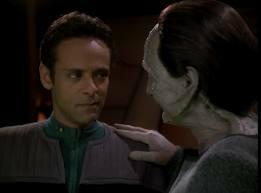 BASHIR: I’m sure we’ll see each other again. 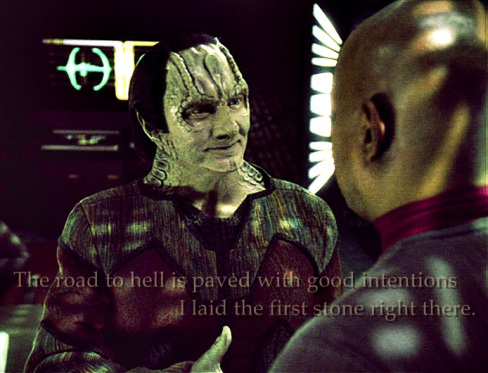 GARAK: I’d like to think so, but one can never say. We live in uncertain times. As I approach my last month before my transfer I will certainly be experiencing many feelings that tend to bring a certain amount of sentimental melancholy. I will miss the people I have come to know here even as I rejoice in being able to return home and live with my wife Judy again full time. JARESH-INYO: I never sought this job. 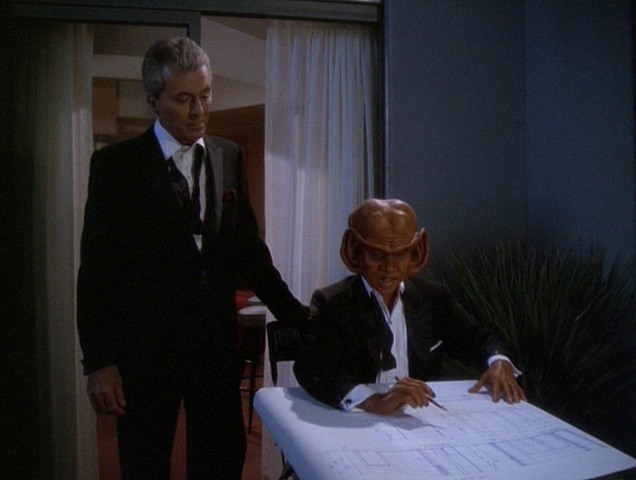 I was content to simply represent my people on the Federation Council. When they asked me to submit my name for election, I almost said no. Today I wish I had. LEYTON: We appreciate your feelings, Mister President, but we don’t have time for regrets. You accepted the job and now it’s yours. ODO: Mister President, there are people all over this planet right now huddled in the dark, terrified about what might happen next. They’re waiting for a sign, something to reassure them that everything will be all right. But they won’t wait long. Fear is a powerful and dangerous thing. And if you don’t act, if you don’t show them that they’re not alone, then fear will surely take over. 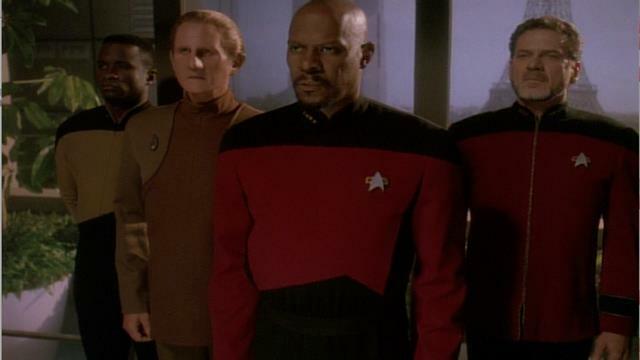 SISKO: Give us the authority we need, Mister President, and we will take care of the rest. JARESH-INYO: Earth is in your hands, gentlemen. Do what needs to be done. LEYTON: Thank you, sir. You’ve made the right decision. After the attacks of 9-11-2001 things changed in the United States. The question of security became paramount in the minds of many Americans who, quite a few with great misgivings approved of the passage of the Patriot Act and other laws to strengthen law enforcement, intelligence and other defensive measures, especially electronic surveillance and data collection done at the Top Secret level. The fact is that President George W Bush, regardless of what one thinks of his subsequent actions regarding the invasion of Iraq did what any President of any party affiliation would have done in the wake of those attacks. He initiated legislation that would allow security agencies much wider latitude in collecting data and investigating any possible threats to national security. Now 10 years later, without a comparable attack many people question those decisions. President Obama, like him or loathe him has elected to for the most part continue, extend and even expand the Bush policies. If he wasn’t a Democrat he would be lauded by most of Bush’s supporters. The real truth of the matter is that the President of the United States holds a unique position and amount of responsibility that no one who has not held that office can truly fathom. If the President, no matter who he or she is, or what party they represent has not done everything the laws allow to prevent major terrorist attacks in the post 9-11-2001 era and just one major attack is successful, he or she will be blamed forever. No one wants that, even men like President Obama who before their election were staunch civil libertarians. I can only imagine the look on his face, or that of George W Bush when they received their first National Security Briefing after taking office and realized that from now on whatever happened, for good or for bad would be blamed on them or credited to them despite the fact that almost everything that they had to decide would be formed and shaped by intelligence and national security experts as well as political advisors with more National Security and Foreign Affairs experience. Since both of them, and President Clinton before them had minimal exposure or experience in such matters I can only imagine that it was overwhelming. I can only compare what it was like to become an Army Company Commander in Cold War Germany in 1985 and realizing that every one of the 110 men and women assigned to that unit and everything it accomplished or failed to accomplished would fall on my shoulders. I have provided counsel and support as a Chaplain to men and women in positions of greater authority than I held and I honestly cannot comprehend what the responsibility for a nation at war is like. As I mentioned in my other articles about the NSA leaks there are many gray areas in the practical measures and laws instituted after 9-11-2001 and in the manner that both the Bush and Obama administrations have conducted the War on Terror. The NSA leaks and the actions of Edward Snowden point us to policy conversations and debates that we need to have regarding how we as a society balance our security with freedom. But as we do that we have to remember that in our system of government and our current laws drafted after 9-11-2001 that we have given the President powers that previous Presidents seldom had, or desired. Whether the President was Bush or is Obama or someone else in the future the fact is that they have the job and we don’t. In the episode Admiral Leyton the Starfleet Commander voices his doubts about the Federation President, sentiments that some have pretty much applied to President Obama. BENTEEN: The bottom line is a changeling infiltrated the grounds of Starfleet Headquarters, imitated the Admiral, and got away scot-free. Our security measures aren’t working. 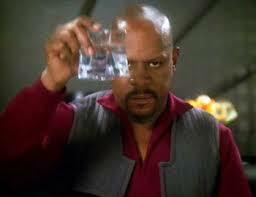 SISKO: We’re doing everything the President will let us do. BENTEEN: Maybe that’s not enough. ODO: We could talk to the President again. LEYTON: I’m afraid that would be a waste of time. Jaresh-Inyo would be a fine president in peacetime, but we have a war on our hands. He doesn’t seem to understand that. 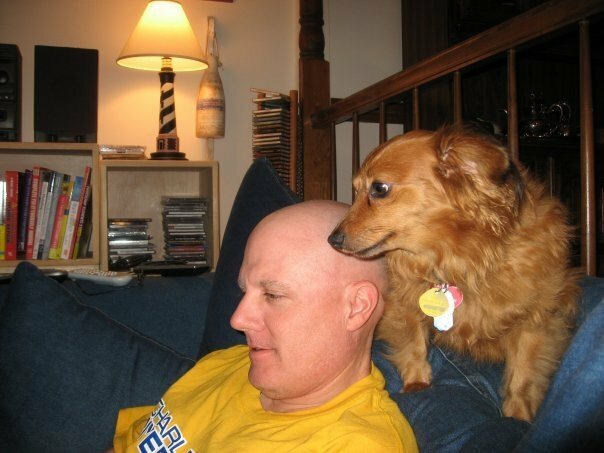 All he cares about is not upsetting people. But humans are tougher than he thinks. We’ve created a paradise here and we’re willing to fight to protect it. 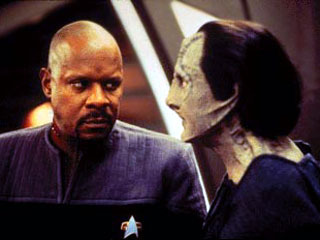 SISKO: And you think the President isn’t willing to fight? LEYTON: I think the President is a long way from home. This isn’t his world. We can’t expect him to care about it the way we do. These are perilous times and serious issues. Facebook Memes, snarky tweets and bellicose blog posts that paint everything in easy black and white terms are seldom right and the fact is that the questions we fact now is complex and multifaceted. If we are to face them we have to do so in a serious manner acknowledging that the world that we live is not the same as it was even 20 years ago.